Hunger Intervention Program’s new weekly senior meal had a packed house this past Monday. 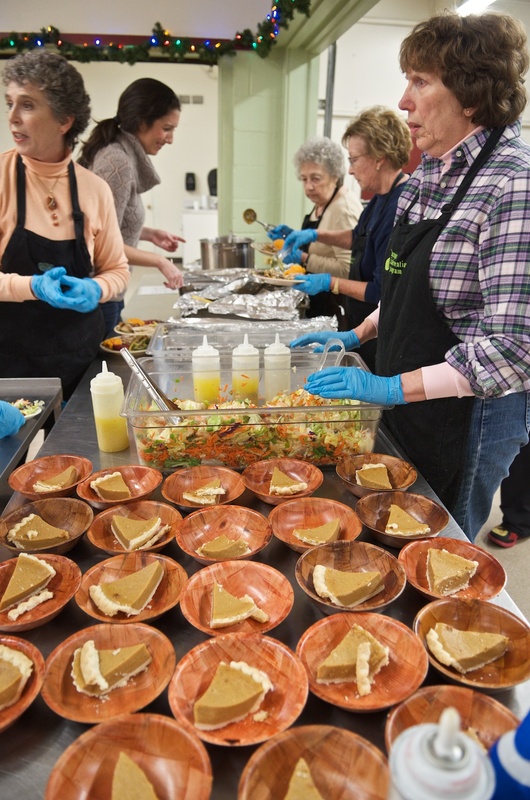 Fifty-eight seniors joined HIP at the Lake City Community Center for an early Thanksgiving meal. We heard such rave reviews that we thought we’d share our recipes with everyone, in case you are still trying to figure out what to make for your Thanksgiving dinner. See below for a couple of the favorites. Thank you to Kaffeeklatsch and Fred Meyer for donating our pumpkin pies and sparkling apple cider. 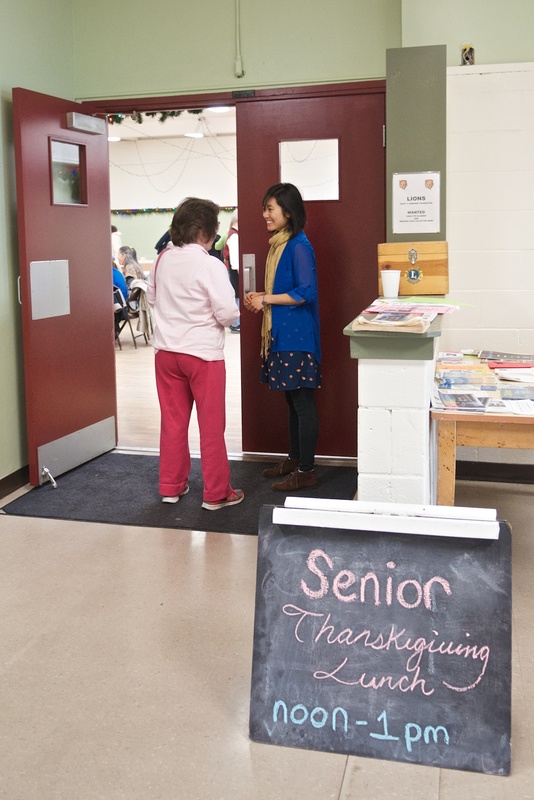 And remember, all seniors 60 and over are invited to join HIP for Senior Lunch, every Monday 12 – 1 pm. There is a suggested donation of $3 per meal for seniors 60 and over. 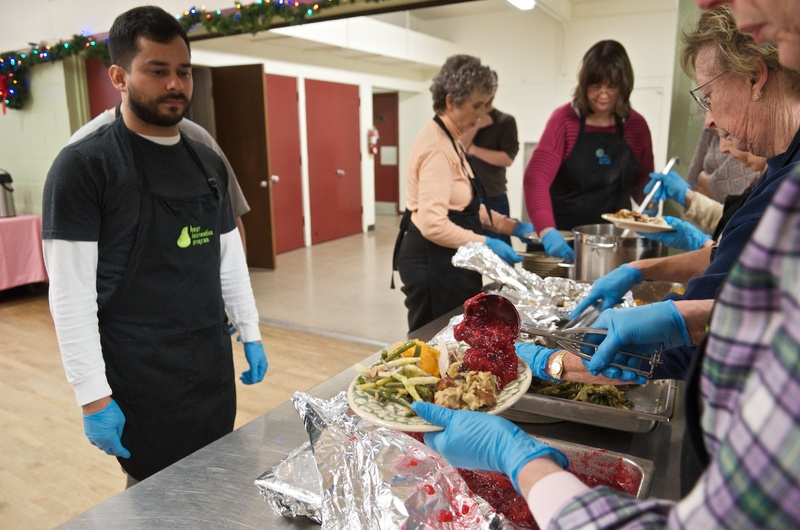 No seniors will be denied a meal because of an inability to donate. A great accompaniment to your turkey and perfect on that day after turkey sandwich. Place all ingredients in a medium saucepan. Bring to a boil. Reduce heat to a simmer and cook for 15-20 minutes. Let cool. Using a potato masher or a spoon, mash the cranberries and apples together to a chunky consistency. This recipe has a lovely orange flavor that complements and doesn’t overpower the sweet potatoes. Cool yams slightly; cut in half lengthwise, and scoop flesh into a large bowl. Add orange juice, and remaining ingredients and mash by hand. You can also do this in a food processor. Transfer to a metal or glass baking pan. Bake at 350F until temperature reaches 165F or is warmed through. A great alternative to that traditional green bean casserole that lets you actually enjoy the green beans! Sprinkle nuts, zest and parsley over the top before serving.